Valley living has never been as full of vim as in Katmandu. This is the capital of Nepal, the very heart of this mountainous and snowcapped country. Here, all those drawn in by the mystique and topographical attractions of this majestic land get to see what wonders humans have managed to carve out even amidst the tallest peaks in the world. What usually surprises first-time tourists to the city is the age of some of the tourist sites in Katmandu. It may be difficult to imagine such a natural fortress as this—its walls the very mountains themselves—as being a place where man has long lived, but Katmandu has been populated for literal millennia. This seemingly hidden valley has been known to men for thousands of years and has hosted its fair share of their achievements… as indeed may be seen in the archaeological sites of importance in the ancient city. The square that holds the structure that gave the city its name, Kathmandu Durbar Square, has been alive and in use by locals for over a thousand years. Katmandu’s attractions are mostly spiritual, but powerfully so. The city is awash with temples and shrines and the surrounding terrain is ideal ground for even the most exacting ascetic or soul-searcher. There is something about this place that makes it ideal for asserting or discovering the self, baring it raw to others and to whatever gods may be interested. It is this self-confident, self-conscious communion with nature and oneself that one really discovers the beauty of being in Katmandu. This is a place where everything, from the mountains and the sky to the structures around you, seem to only enhance your joyous affirmation of your own life and self. In Katmandu, even the very air seems to be sweeter, even if only because this is a place where one usually rediscovers an appreciation for even that simple joy. The Garuda is a giant mythical bird or bird-like creature. It could be a man with wings or a half-man, half-bird creature. The Garuda is very important in Indonesia and is most popularly known to be Indonesian in nature, but it also takes considerable prominence in India and Nepal. 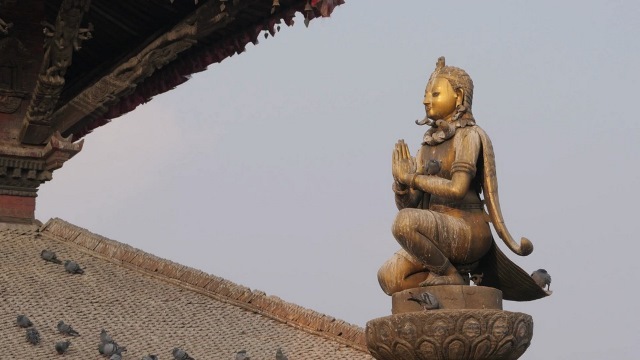 There are several images of this mythical bird scattered all over Kathmandu Valley in Nepal, but perhaps the most well known is the Statue of Garuda inside Kathmandu Durbar Square. 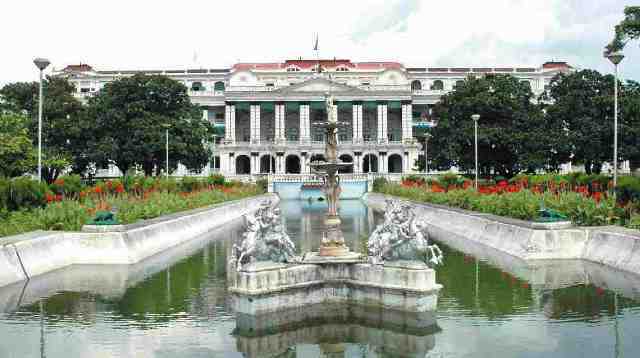 Singha Durbar is Kathmandu’s Lion Palace that was originally constructed during the Rana Dynasty. During its name, this was the largest palace in all of Nepal. The Rana Dynasty is not ancient at all, having ruled the Kingdom of Nepal from 1846 to 1953. The country began to earn international recognition as it opened its arms to international tourism in the 1950s. In a way, this dynasty is a transition period for the country as it was during this time that the monarchy was reduced to just a figurehead. It didn’t wield as much as power as it did during the past dynasties. Rana Dynasty proudly traces its roots to Bhimsen Thapa from 1775 to 1839 who is considered one of Nepal’s national heroes. Shiva is one of the most important and often cited Hindu gods. He is part of the Hindu Trinity and is considered as the Supreme God, the destroyer. The name Shiva means the auspicious one. He is often represented with the symbol of a linga or phallus and in the image of a handsome young man who is either dancing the Tandava or in deep meditation. He is the father of Ganesha and Murugan. Worshippers of Shiva are called Shivaites or Shaivas, and the worship is called Shaivism. In South Asia, there is a total of 275 temples whose main deity is Lord Shiva. These temples are called Paadal Petra Sthalams or in English, Holy Abodes of Shiva. 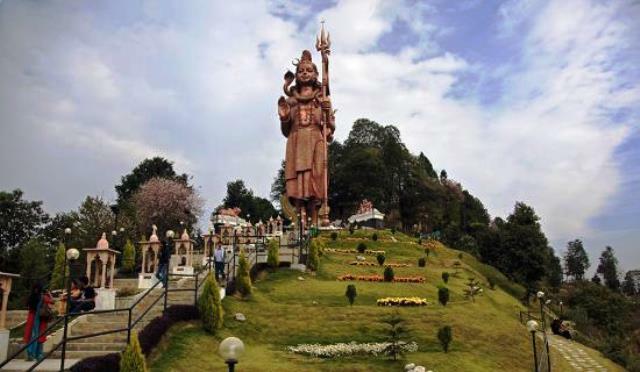 In Nepal, there are a number of temples that are dedicated to the Lord Shiva. When pertaining to this major god, most Nepali Hindus will quickly refer to the Pashupatinath temple as a leading Shiva temple or Shiva Mandir. The capital city of Kathmandu in Nepal is an ancient metropolis, about 2,000 years old, but is now steadily developing into a bustling and progressive urban metropolis. It major attractions include streets, temples, palaces, buildings and even whole towns that are several hundred years old. Many of its local villages remain as they were many centuries ago, untouched by modern developments and urbanization. One of these authentic local villages is the Thecho Village located in the district of Lalitpur. The hilltop village of Pharping in Nepal is famous for two things: the surrounding temples and the small weaving town of Kritipur. 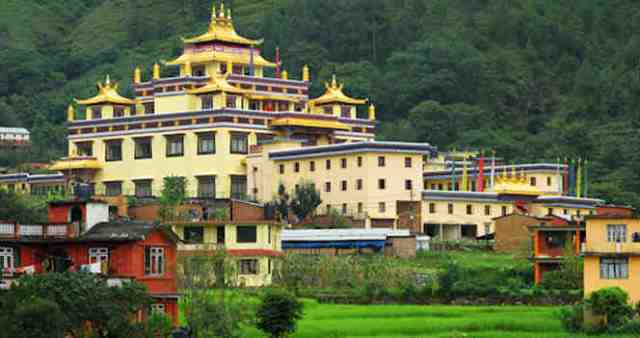 Located just about 30 minutes from the capital city of Kathmandu, Pharping is surrounded by several highly venerated Buddhist and Hindu temples that are often visited by faithful pilgrims. Devotees come from several parts in Nepal and the world. Majority of Nepal’s international tourists are Buddhists from Thailand and India on a religious pilgrimage. Although the purpose of such pilgrimages is heavenly and beyond this world, the devotees are still humans and are prone to leave behind pieces of trash. 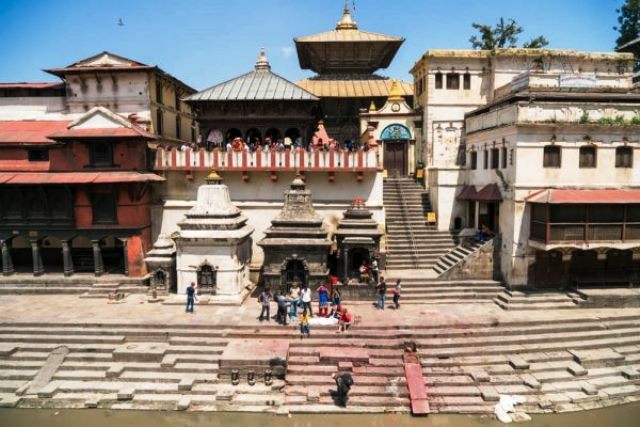 Kathmandu Valley in Nepal is home to many UNESCO World Heritage Sites and one of them is the Pashupatinath Temple that is beautifully located along the banks of the Bagmati River to the east of the capital city of Kathmandu. The temple is an important Hindu temple dedicated to the Lord Vishna and the seat of Lord Pashupati, Nepal’s national deity. It is intricately ornamented with a number of sacred linga or phallic images of Lord Shiva. 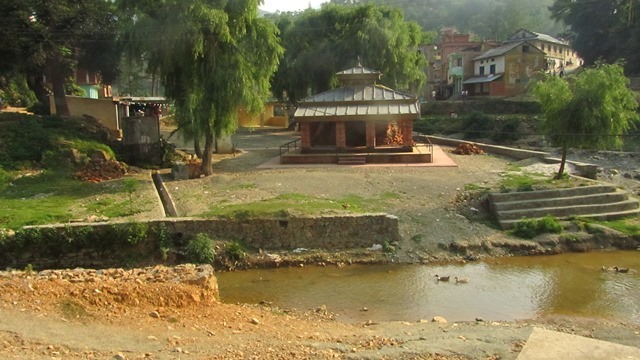 Since this is considered a most holy religious site, only Hindus are allowed to enter; non-Hindus may not even cross the river to approach it. Thousands of Hindu pilgrims from all over the world come here annually and refer to the temple as The Temple of Living Beings. It is one the 275 Shiva temples that are referred to as Holy Abodes of Shiva (Paadal Petra Sthalams) in South Asia.